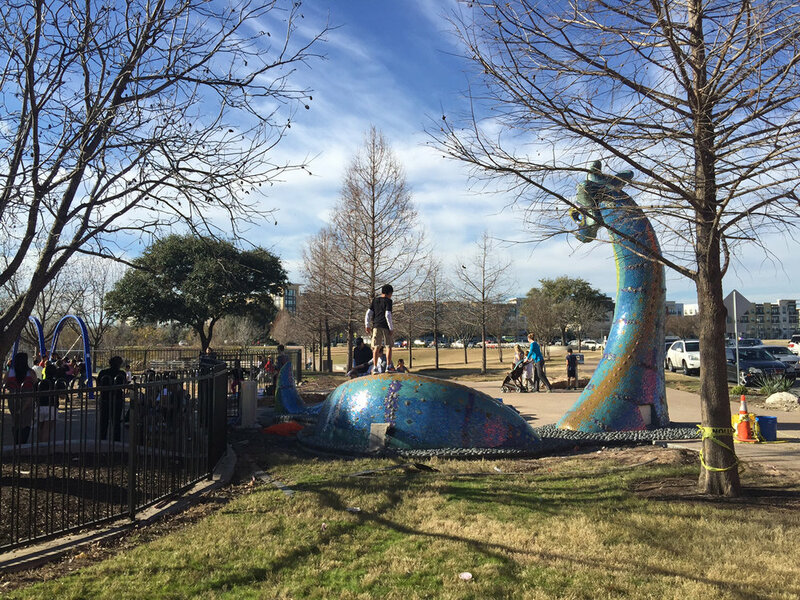 This sculpture serves as a welcoming terminus to the Aldrich Street pedestrian paseo, connecting the shopping and entertainment district to Mueller’s Lake Park at Simond Avenue. The 16-foot-high, 30-foot-long serpent-like sculpture was inspired by mythological water creatures, using handmade tiles to give the feeling of barnacles and other sea life, while adding textural distinctions with the smooth, glossy, glass tiles. 16' x 30' x 0"